Samurai (侍, ‘the one who serves’), was a well trained and a well learned feudal Japan era (12th to 19th century) warrior, who believed in chivalry and lived by the guide of the unspoken code of ethics or moral principles, known as Bushido (武士道, bushidō): “the way of the warrior” or “precepts of knighthood”. Loyalty to the sovereign, rectitude, respect, compassion, courage, self-discipline, honour, honesty, and trust in fate are just a handful of dominant traits or virtues that are at the core of the Bushido code adhered to by the true samurai warrior of the time. 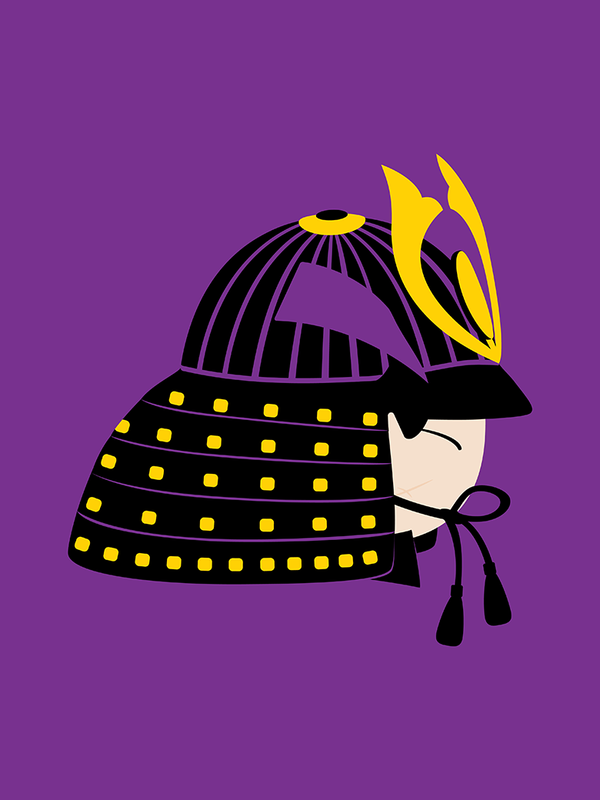 The samurai print features a classic kabuto (兜) helmet design, the iconic part of the peculiar yet very versatile and practical samurai armour, boasting the severity and genius behind the brilliance of the design meets function at its core. 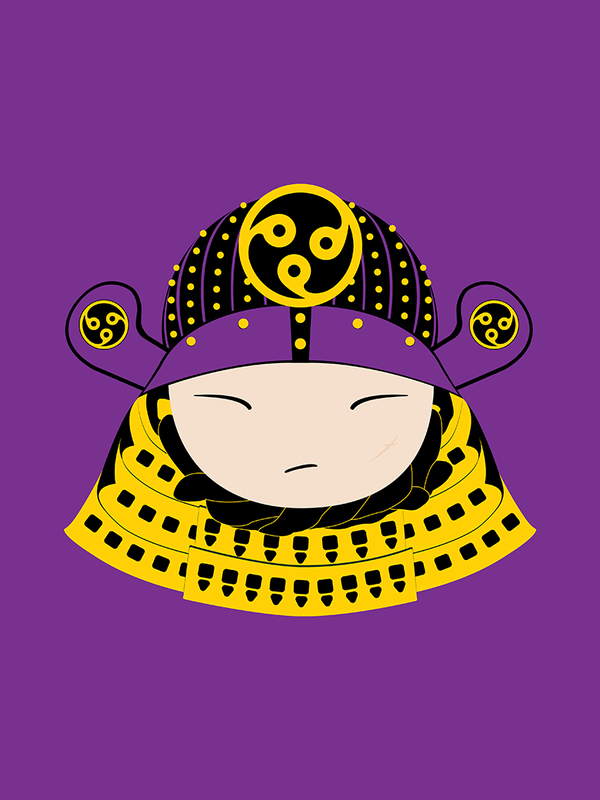 This bright pop art colour print pays homage to one of the most prominent cultural icons in history of Japan while embodying and celebrating the very essence of chivalry—the righteous warrior ways.